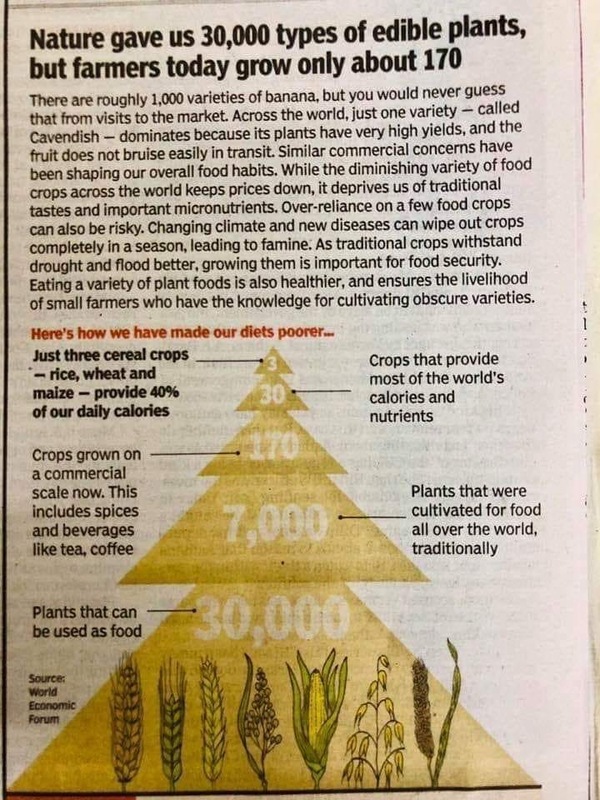 A recent FAO survey shows that less than 60-70yrs ago our ancestors consumed 150 types of foods, the current scenario is appalling to know that our diet has just 2 types of foods- Rice and Wheat. 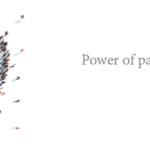 As a consumer, what is your contribution in reversing environment and health deteriorating factor? What are the benefits of adopting to traditional lifestyle/ traditional foods? Can preserving Heirloom/Traditional seeds be the solution to global food security? 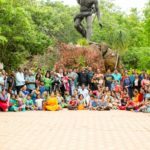 I had an opportunity to attend ‘2nd Auroville Seed Festival‘ which happened in August 2018 at Bharat Nivas in “Auroville”. 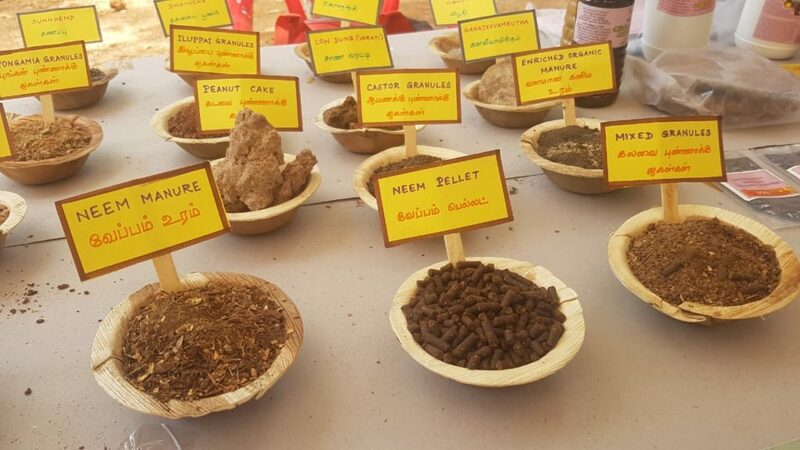 The Seed Festival hosted by Sustainable Livelihood Institue (SLI)-Auroville, is a celebration of traditional seed varieties, local farming communities and holistic agricultural practises. The event showcased over 350 traditional varieties. 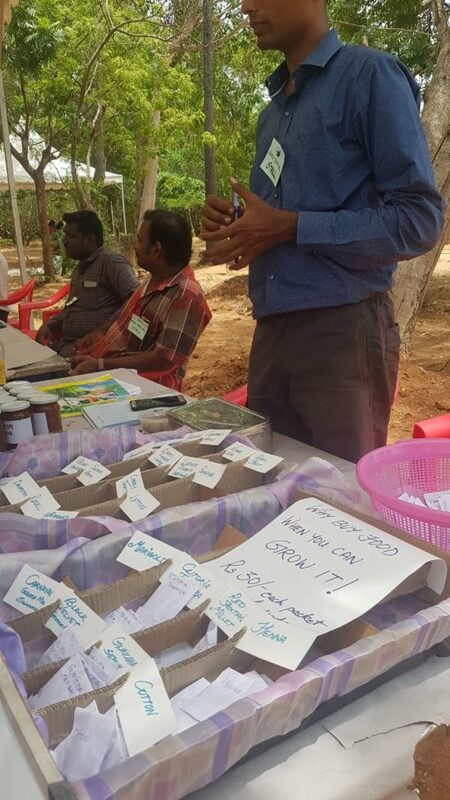 The event also showcased talks by several experts such as Environmentalist & Agriculture Scientist Mr.Pamayan, Mr.Ananthoo of OFM & Tula, seed saving expert Mr.Nel Jayaraman as well as leading Auroville-based farmers and seed savers including Krishna Mckenzie of Solitude Farm. From the words of Pamayan ji– According to Tamil Sangam Literature the geographical landscapes are: Kurunji (Mountains), Mullai (Forests), Marudham (Agri Areas, Plains, Valleys), Neydhal (Seashore) and Palai (Desert, Parched Wasteland). Quoting the words of a great Tamil poet and philosopher Thriuvalluvar–(Thirukural- Tamil to English Couplet 742): “maNinheerum maNNum malaiyum aNinhizhaR kaadum udaiya tharaN”. English Transalation- The wealth of a country is not in its forts/buildings, but in its crystal clear water, an open space, a hill, and shade of beauteous thick forests (Mix of 7 types of crops) where the sunlight does not touch the ground thereby turning the soil into fertile land full of life. Dating back to before 2000yrs, our forefathers practised Nature based farming in Kurunji landscapes; much importance was given to increase the organic matter in soil by adopting to no-ploughing & no-tilling farming , 7 crop farming (Mix of indigenous trees, small trees, shrubs, herbs, similar to Permaculture). Using manure from farm animals and composting the manure to increase the soil fertility were predominantly a custom in Mullai (Forests) landscapes. Rice & Fish cultivation was traditionally practised in Neydhal (seashore) landscapes. Rain Water harvesting techniques and installing Grand Annicut or Stone Barrier in running rivers/streams were implemented in Fresh Water Ecosystem or Marudham landscapes. Ancient Tamilians used 33 types of man-made structures for water harvesting and saving purposes, they were considered experts in building Stone Barrier structures. It is said that there were approximately 40,000 lakes in Tamil Nadu, and out of which 99.9% have vanished in the name of development- Bus Depots, government buildings, offices, etc..
Why did we loose our ancient Farming Techniques & Heirloom Seeds? Genetic diversity of agricultural crops has reduced at alarming levels which has de-stablised fragile environment Eco-systems. Our ancient and local knowledge of land has been slowly destroyed or conveniently bought-away from us by wealthy corporations and government policies for economic gain. The reasons for wiping out the heirloom seeds and cropping techniques is to capture the highly profitable food market. Through a recent FAO survey, it is shown that less than 60-70yrs ago our ancestors consumed 150 types of foods, the current scenario is appalling to know that our diet has just 2 types of food- Rice and Wheat. How is that possible? You visit any supermarket, you see arrays of shelves with varieties of food items stacked in them, how on earth its just 2 types of food? Sadly, the answer is a yes! The main ingredient used in the manufacture of majority of foods are bi-products of rice and wheat. The intake of traditional foods, naturally grown foods and wild foods (forest foods) has reduced, but we consume mono-agriculture based foods, industrial foods, fake foods, fast foods, GMO(genetically modified) foods, due to which we suffer from Low immunity and non-communicable (life-style) diseases like diabetes, kidney failure, thyroid, BP, heart disease, cancer, etc. have increased globally. From the words of Ananthoo Ji– Only one GM crop is officially approved in India which is GM Cotton. However, an alarming report says that over 55 types of foods consumed in India are Genetically Modified. This is due to the imports (wheat, soya, etc) and manufactured foods of foreign origin which reaches our plates without proper health safety parameters from the government. A Clipping from a newspaper article. Traditional foods are the only answer to boost our bodies natural immunity. A monopoly situation has been formulated by the greedy corporations to capture the food market profits by creating a difficulty to access our land based traditional and indigenous foods thereby reducing its consumption and health awareness to the public. Media and Advertisements play a lead role to confuse and favor public choices, especially children become the innocent victims, adults equally. Eg. paste with salt in it, manufactured drink claims to contain all the proteins and vitamins for a child’s growth, processed soya milk, pasteurized Milk, Pepsi ads by famous Sports person/ Actors, Breakfast cereals for weight loss, and the list goes on. Fertilizer lobby and Industrial Seeds Lobby is another culprit against Traditional foods. According to the Seeds Act, 1966., it is illegal to sell seeds by an individual farmer, only exchange is allowed. Yes, a farmer may feed the country and its people, may produce the seeds, but not sell ” Seeds”. When seeds are under siege by laws and large corporations (Monsanto, Bayer) the farmer loses his/her heirloom (open-pollinated) seeds and traditional farming systems to high costing seeds hybrid and GMO seeds. Engineered seeds are those that cannot produce fertile seeds which can be sown again and these seeds require expensive, environmental and health damaging chemical fertilizers (glyphosphate) for very crop cycle. GMO crops are known to contaminate and damage generations of heirloom seeds. Large corporations will start removing the heirloom seeds from the hands of the farmer and establish or monopolize the seed market, thereby pushing the farmer to higher debts and suicide. Example, the GM cotton seed from Monsonta are bought and cultivated by 95% of the cotton growers accross India. Ironically, our country’s National Flag which has to be made to specifications set by our ancestors, including a particular size, measurement, a place to make the flag, and using natural fiber cloth Khadi; is now made by using GM Cotton. A country’s economics is in its agrarian economy. We are in a state of seed emergency and the Agrarian economy lies in seed protection, seed freedom and seed sovereignty. Currently, 95% of GM cotton is dominating the Indian market, if a similar situation arises to Rice, Wheat or any other Vegetable crops, then the seed companies will dictate the food market by means of regulating and restricting seed availability to farmers. In not so far future, the seed corporations might refuse to sell seeds for farming activities in our land and instead we will be forced to establish expensive import links by growing food crops in 3rd world regions. The Great Seed piracy takes control of the seeds of farmers and facilitates seed monopolies, seed regulations through laws, germ plasm (ex-situ), genomic mapping and gene editing through biotechnology and intellectual property rights backed by large corporations. Food security can only be achieved through seed protection. For instance, A traditional Rice variety- Thooyamalli, which has been domesticated through 2000yrs of perfection, and handed down through many generations which has seen many seasonal changes, pests, diseases and climate cycles, has to be revived through continuous growing (in-situ) of the crop and there by preservation of the seed is achieved. What happened to Rice variety IR8, a product of Green Revolution? It is does not exist now. Such is the situation of new age seeds which is released every year by means of biotechnology. Traditional farming practices and indigenous seeds are a valuable cultural heritage and indicators of biodiversity. There is a local saying which translates to “When a siddhar dies, 100 herbs might risk becoming weeds”, it so happens because of lack knowledge to identify a weed which may as well be a health benefiting herb. Planting seeds of change in our decisions towards sustainable food choices is the only way forward. Ancestral food celebrates and honors our land and our ties to Mother Earth; indigenous foods are high in nutritional quality and is significant to promote good health outcomes, a means to alleviate poverty and malnutrition, prevents chronic life-style diseases like- Diabetes, Hormonal Imbalances, BP, Cancer, etc. 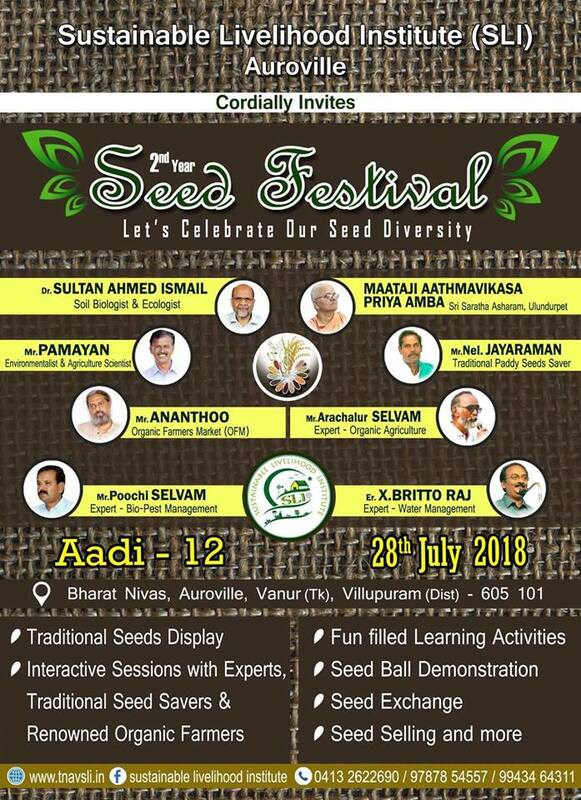 Show your support to protect and promote traditional seed crops diversity by attending your neighborhood Seed Festivals. 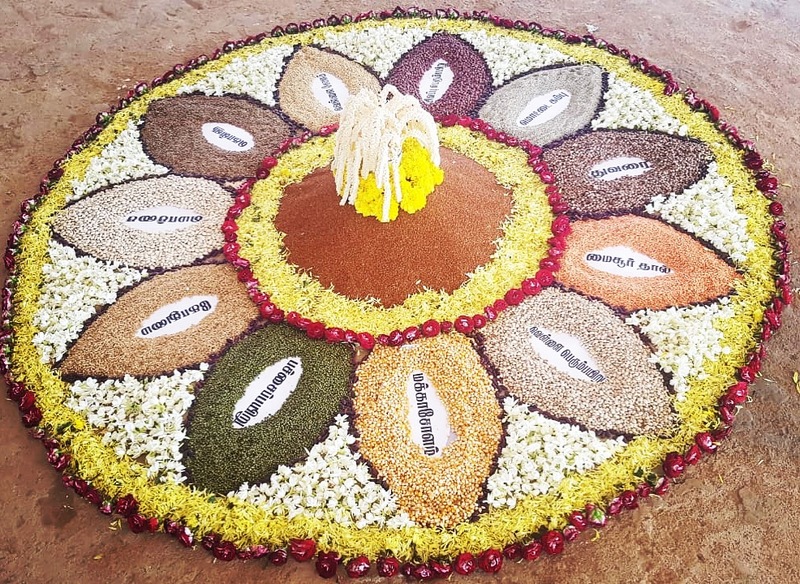 Seed Festivals are a movement, a culmination of passionate people committed to reviving heirloom seeds & traditional foods including Rice, Millets, indigenous foods; and is a way to bring public awareness to the economic and health importance of ancient food systems. 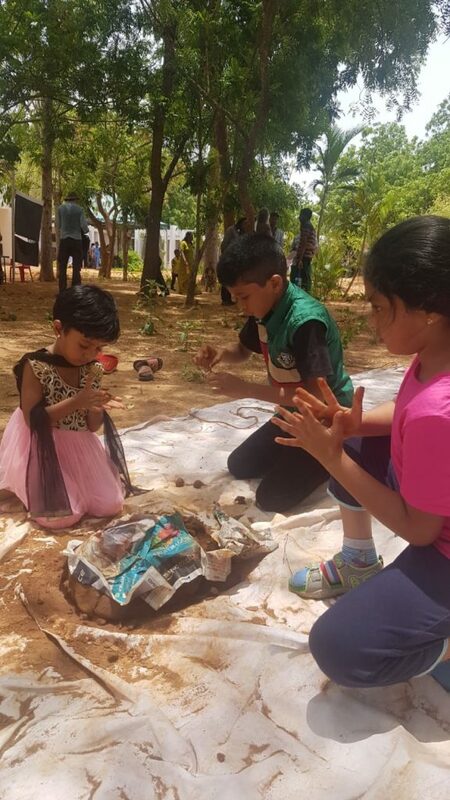 Hands on demonstration for kids to make Seed Balls. “Seed balls” or “Seed bombs” are mixtures of clay, compost and a seed. The mixture is rolled into a ball shape and left to dry for aerial seeding. Masanobu Fukuoka popularized this ancient method of agriculture, where-by the seeds are thrown or dropped on land for aerial reforestation. 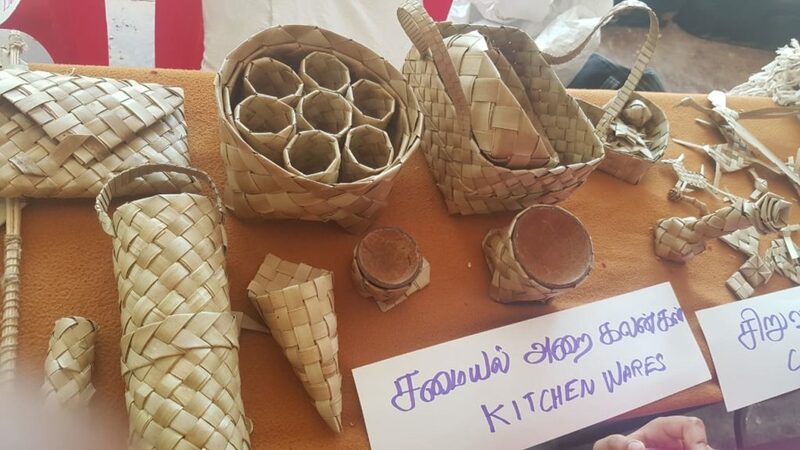 Palm Leaf Products Displayed in Seed Festival. Solutions don’t care how the problem started. Together we can be the Change- Lets Save Traditional seeds by consuming indigenous and local foods, else the future of our food, mother earth and its inhabitants are bleak. Thank you Velu Anna for the opportunity! 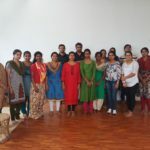 Author Madhuri SathishPosted on December 4, 2018 December 5, 2018 Categories Ancient Wisdom, Traditional FoodTags Ancestral Food, Farmers, Farming, GMO foods, Good Health, Heirloom Seeds, Seed FestivalsLeave a comment on Traditional Foods for Improving Nutrition and Food Security!